The WellnessFX Heart Start Test offers a look at certain genes related to cardiovascular health, including genes related to cholesterol and lipids. Your heart is unique. Use Heart Start to get practical and actionable recommendations tailored just for you. 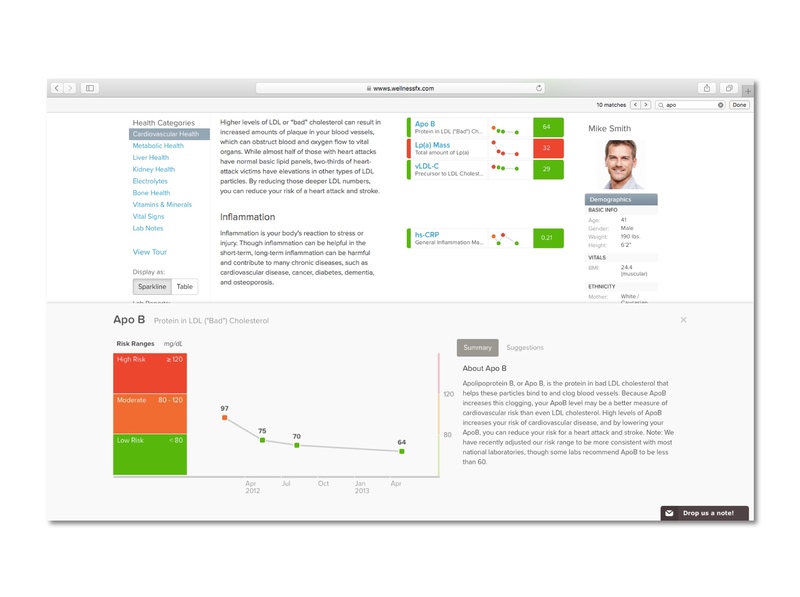 An intuitive dashboard helps you visualize, understand, and track information related to your cardiovascular health. Take control of your cardiovascular health. Using markers in your blood and DNA, Heart Start offers insights that can empower you to optimize your wellness. To use this product, you must be 18 or older and be a U.S. resident. Not available for residents of Maryland, New Jersey, New York, North Dakota, South Dakota, Rhode Island, or Hawaii. You don’t need a doctor’s appointment or referral to use Heart Start. Lab appointments and phone consultations are made on your time to fit your busy schedule. 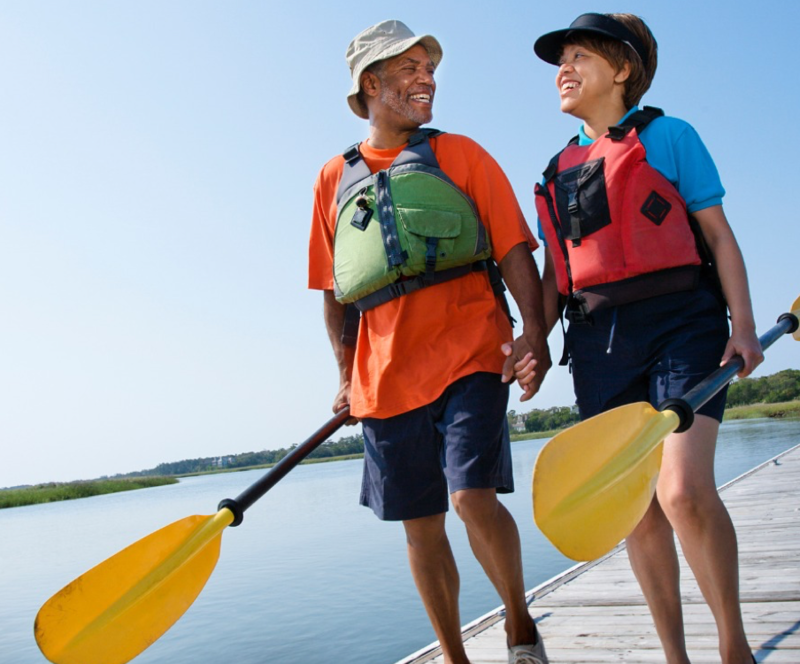 Heart Start provides deep insights about your heart health. Easily understand where you’re doing great and what you can improve to make a positive impact on your cardiovascular health. Get a deeper level of access to your heart's health with a series of advanced diagnostics that reveal the state of your cardiovascular system in unprecedented detail. Don't just get more data about your heart - get better data. Our blood panel includes total lipid amounts, particle numbers, sizes, and patterns. We'll measure fatty acids and examine markers of inflammation and risk of clotting for a comprehensive assessment of cardiovascular health. WellnessFX has an elite scientific team that enables us to offer consumers the best information—and we’ve partnered with leading academic institutions to further develop our depth of knowledge. This knowledge, along with our commitment to consumer prevention and wellness, makes WellnessFX the trusted choice for online personalized wellness. Blood lipids, e.g. cholesterol and triglycerides, are a natural and important part of our body, but can cause problems if present in excess. The amount of these lipids in your blood is a combination of what your body makes and what you absorb from your diet. DNA influences both of these, but your dietary choices and lifestyle factors, like stress, drive most of the final outcome. There are some rare conditions that result in high cholesterol and/or triglycerides, regardless of diet, such as familial hypercholesterolemia, and this product does not test for those. Some diet decisions, like eating lots of meats and cheeses, may increase your blood lipids, and this might impact your heart health. A blood test is the best way to measure your blood lipids, and your doctor or a cardiologist can help you understand any health impacts from those results. Otherwise, DNA insights from this product can be used to help you make healthy diet decisions for your heart. This product will not provide any medical information or a diagnosis. It is not a diagnostic test or screening test for cardiovascular disease. Because this product includes a blood panel test, WellnessFX will provide a physician to review your health history to ensure it’s right for you. A physician will also review your blood panel results results once they’re ready. Answer a few questions about your health history when placing your order online. It takes just a few minutes. Get a DNA kit sent to you and provide a saliva sample. 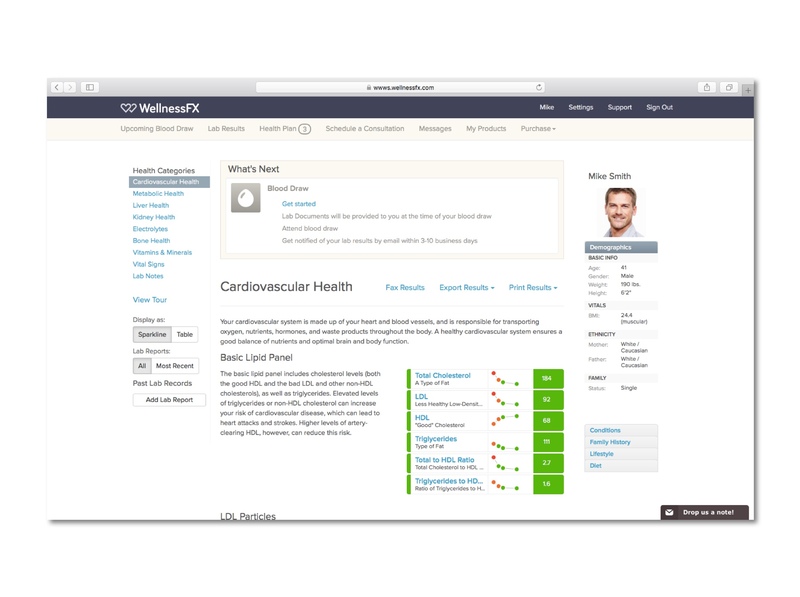 Founded in 2010, WellnessFX™ pioneered a revolution by allowing individuals to directly gain powerful health information. Yes. In order to use Heart Start, you must be sequenced by Helix. To ensure the quality and accuracy of the genetic information used for this service, products in the Helix marketplace do not accept genetic data from outside sources. And, once you’ve been sequenced by Helix, you can purchase more DNA-powered products from a variety of categories like fitness, nutrition, entertainment, and more—all without having to get sequenced again. How does Helix provide my DNA information to WellnessFX? Is it shared with anyone else? Your DNA information is stored securely by Helix. 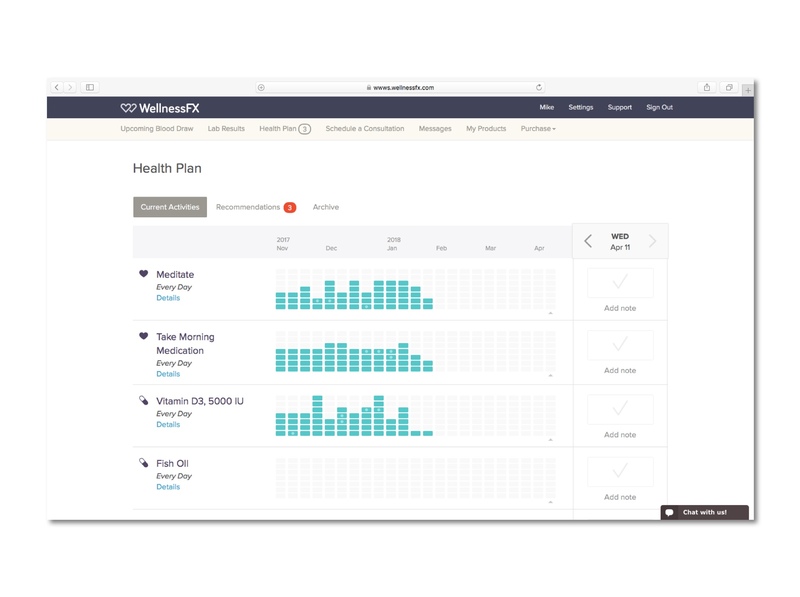 When sequencing is complete, Helix only sends the relevant DNA information needed by WellnessFX to generate your results. We do not share your DNA information with anyone without your permission. We always maintain high standards when it comes to the security and privacy of your DNA information. 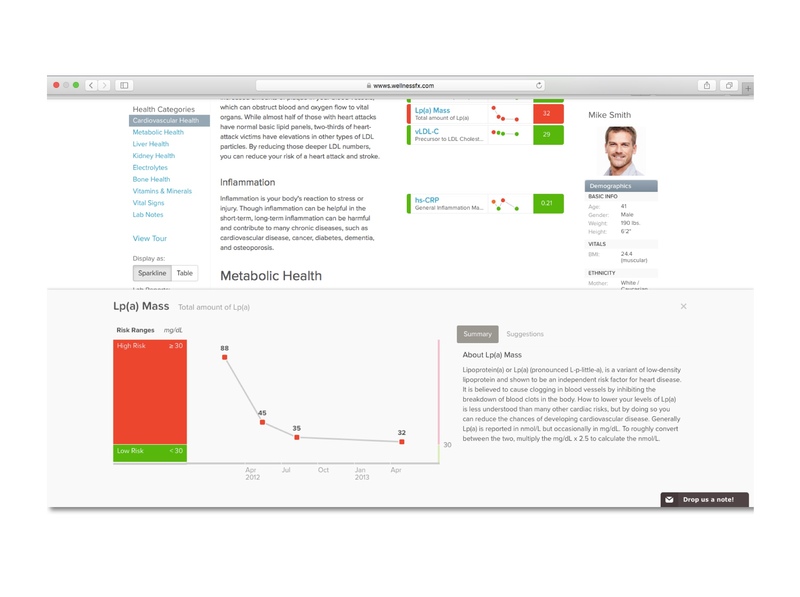 WellnessFX will send you an email when your results are ready to be viewed online. How do I learn more about how WellnessFX uses my information? How accurate is WellnessFX testing? WellnessFX testing is performed in the same laboratories as tests your doctor would order, ensuring the same level of accuracy. All WellnessFX lab partners are certified and have extensive internal and external quality control, including third-party validation testing. You can learn more in the WellnessFX Informed Consent.